The PGA56 from Shure is a professional quality snare/tom microphone with an updated design that features a black metallic finish and grille .. The PGA56 from Shure is a professional quality snare/tom microphone with an updated design that features a black metallic finish and grille offering a stylish yet discreet visual presence. The Shure PGA56-XLR is a fantastic microphone and is great value for money. 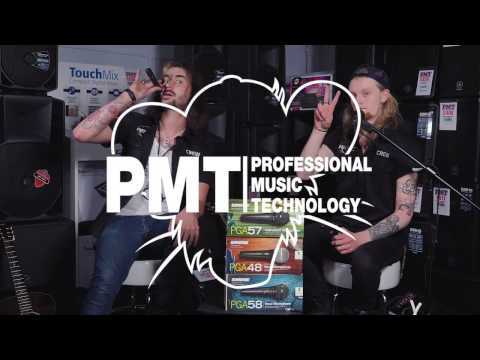 The PGA56 was designed specifically with snare and tom drums in mind and whether you’re performing live or recording in the studio you’ll get the fantastic sound quality that you have come to expect from Shure. The Shure PG ALTA range has been designed to give users an affordable opportunity to experience legendary Shure sound and workmanship and the PGA56 certainly delivers. 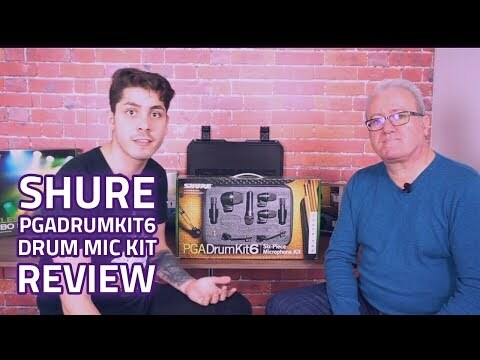 The Shure PGA56 dynamic microphone has been designed close miking snare and tom drums with a tailored frequency response to get every nuance of the performance. To make Shure PGA56 nice and simple to use it comes with a swivel mount with quick-release latch allowing you to get that perfect placement and readjust with ease. The PGA56 also comes with a drum mount so you can attach the PGA56 directly to the snare or tom – mic stand not required! The Shure PGA56 from the PG Alta range of microphones comes with everything you need in the box; microphone, drum mount, XLR cable and even a zipper pouch for safe-keeping so you’re ready to go at a moment’s notice.